I am beginning my unit on Veterans Day this week. I LOVE teaching my students about this holiday. We have so much fun "hunting for heroes" in our school, families, and communities. I LOVE watching them thank our plant operator for "being a hero". Their sparkly eyed admiration is just the best thing ever! So, while our excitement is building, I wanted to share a freebie with you. 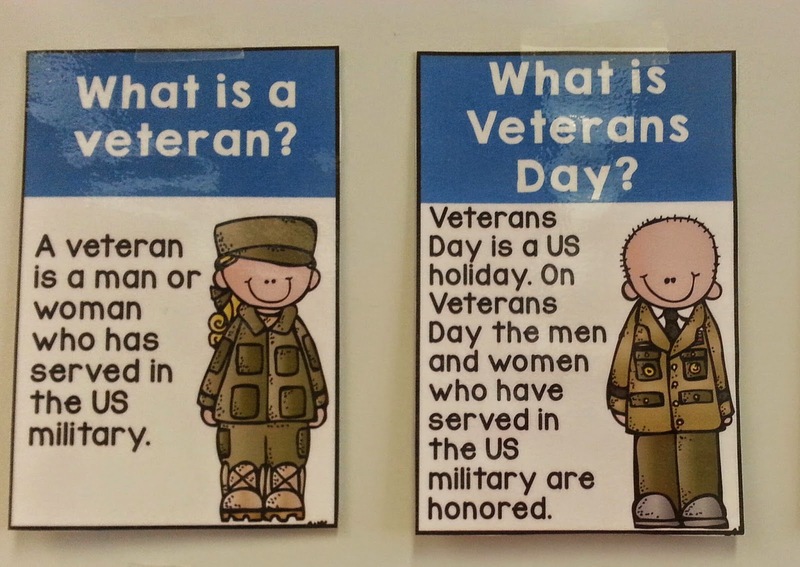 I hope your students will enjoy this Veterans Day Mini Poster Pack! Grab yours HERE.